Over the past decade, I have found it interesting that Hollywood continues to be portrayed as a glamorous, serious business, while the video game industry is seen as a haven for nerds at best, and a cause of real-life violence at worst. Grand Theft Auto V is officially the fastest-selling game in the history of the series, and it could go on to be the fastest-selling game ever made. 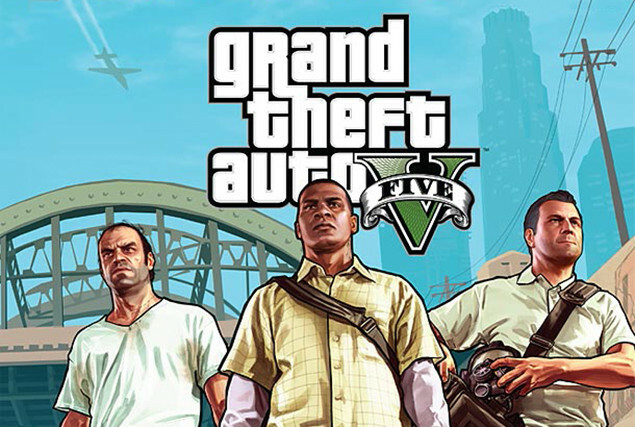 Today, publisher Take-Two Interactive announced that the game pulled in $800 million dollars on its very first day, faster than any previous game in GTA history. That puts Grand Theft Auto V closer to the $1 billion mark faster than any game or other piece of entertainment ever sold. The previous record was set by Call of Duty: Black Ops 2 last year, which reached $1 billion in sales in only 15 days. While it’s possible that GTA V sales will taper off, it’s definitely got a head start. Black Ops 2 only made $500 million on day one, by comparision. In case you’re wondering, movie tickets don’t rake in money quite as quickly as games. Blockbuster video games beat out movies back in 2011, when Call of Duty: Modern Warfare 3 reached that $1 billion mark in 16 days, compared to the 17 days it took film industry record holder Avatar to achieve the same. That makes sense, though, considering that new video games cost much more than a movie ticket (at $60 each) and that people often pre-order games weeks if not months before release. Both lend games an obvious advantage in early sales tallies. Blockbuster video games also have budgets that rival blockbuster movies as well: Grand Theft Auto V reportedly cost $260 million to develop and market. I do think, as others have written, that video games are definitely cutting into the movie market, particularly the action/blockbuster market. The Verge articles quoted above states that “new video games cost much more than a movie ticket (at $60 each)” — but that ignores the fact that an actual trip to a movie theater for two people can approach $60 very easily, video games can be played at home and at leisure, and video games give vastly more time-of-entertainment than a movie — anywhere from 10 to 100 times more (yes, I have games I have played for more than 200 hours). It will be interesting to watch how this plays out over the next decade or so. ..bruce w..